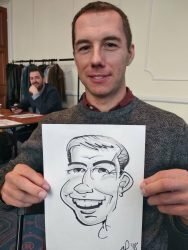 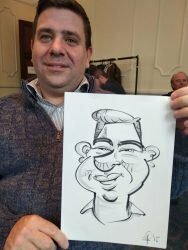 Louie draws funny and flattering caricature portraits of your family, friends, guests and colleagues that makes any event memorable. 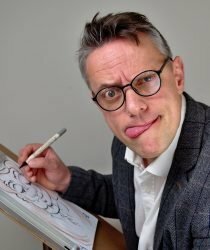 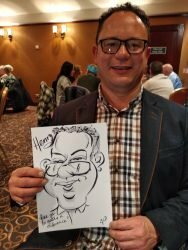 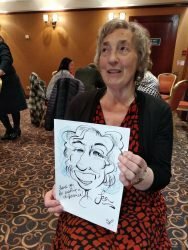 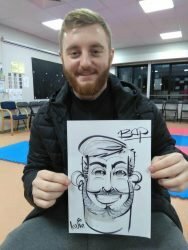 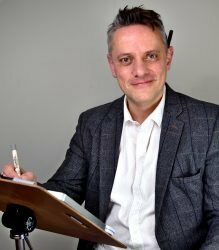 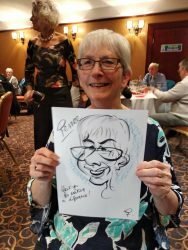 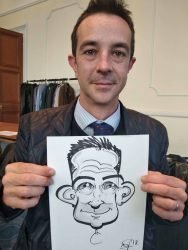 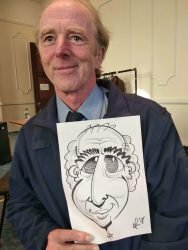 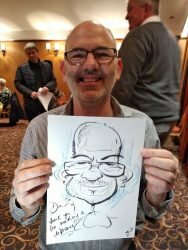 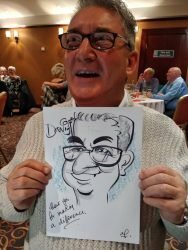 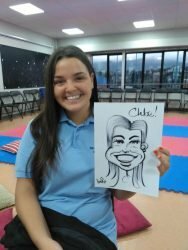 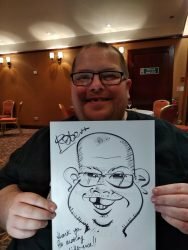 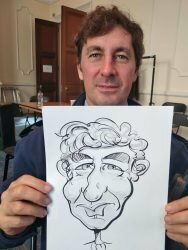 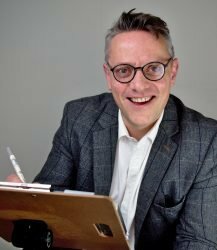 Not only is Louie a renowned entertainer but he is also an accomplished caricature artist who can create quick-fire caricatures of your guests, both young and old, and of course draw the Bride & Groom. 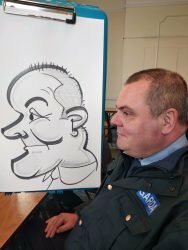 Based in Northern Ireland, Louie travels from Belfast to Banbridge, Louth to Larne and beyond. 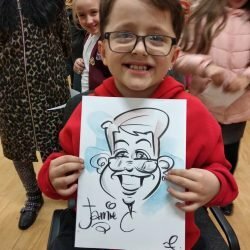 Louie is perfect if you’re looking for unusual wedding entertainment that is suitable for guests of all ages and can be delivered during the daytime reception or as evening entertainment. 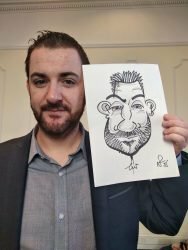 Always dressed smartly and appropriate for the specific occasion, Louie situates himself in a bright location within the venue and warmly invites your guests to sit for him while he makes friendly conversation and creates his 5 minutes caricatures drawn in his unique style. 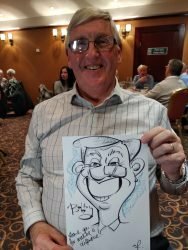 Drawn on quality A4 paper in permanent ink and presented in a protective folder, each caricature is a light hearted likeness of your guests that will serve as a warm memory of your event for many years after the special day. 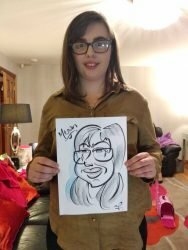 Bride and Groom signing boards depicting the special couple are also available. 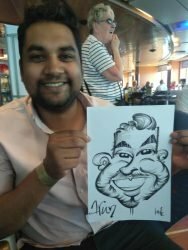 Please contact Louie to discuss your requirements or get prices and caricaturist rates. 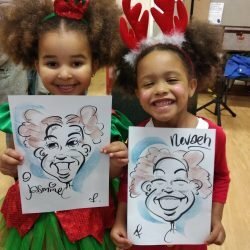 Why should adults get all the fun? 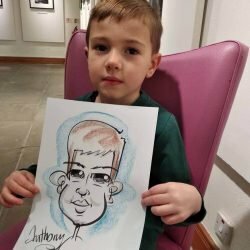 Most children have notoriously short attention spans and rarely sit still for very long, but working quickly and with great humour, Louie turns kids into cartoons! 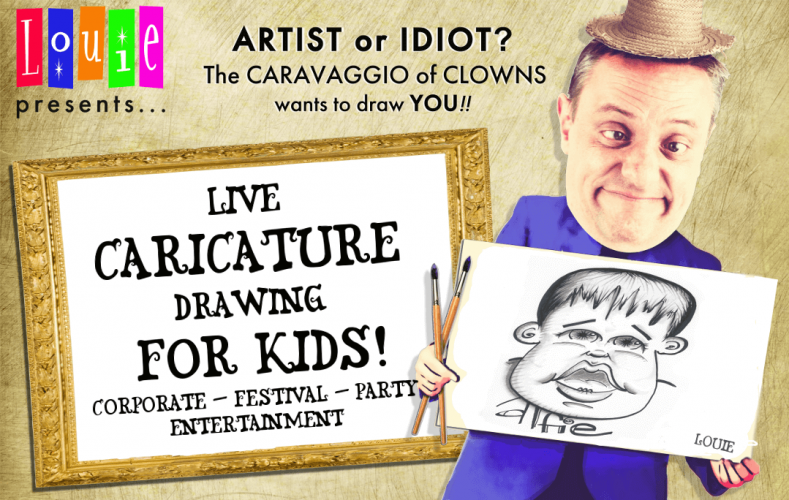 These super silly, but never mean-spirited, caricatures are A4 size portraits and make great entertainment for those watching without keeping the sitter waiting for too long!